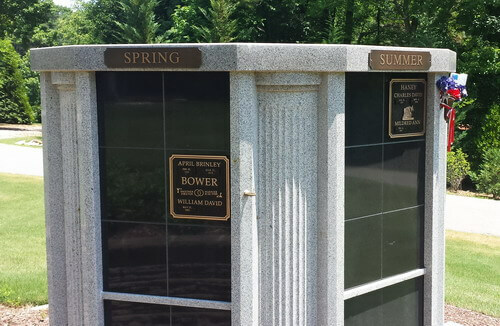 Pine Forest Memorial Gardens offers columbarium niches for a final resting place for cremations. Many people think that cremation is the final step, but it is not. When a final resting place is not chosen, ashes are often left in a closet, attic, or thrown away. Sometimes people wish to keep the remains at home, but that keeps others who love that person from being able to feel close. Where will they end up 50 years from now? Being responsible for an urn, or many urns over the years, can be an emotional burden for the family. 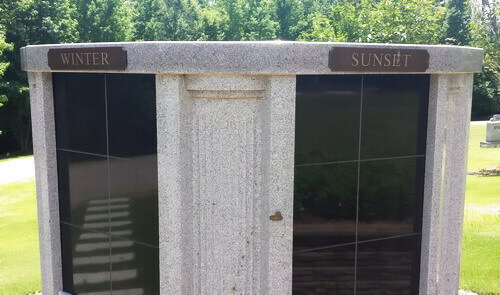 It is important to have a final resting place for a cremation—somewhere friends and family can come to remember and reconnect. 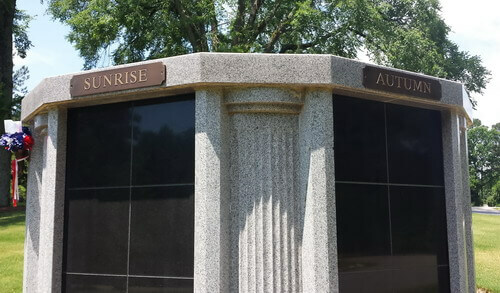 Including perpetual care, an urn, a bronze memorial marker with installation and a weekday opening and closing. Monthly payments may be made to fit your budget. $250 Down/Call 919-556-6776 for your monthly payment options. Choose from the second level thru the fifth, and the heading of your niche location—winter, spring, summer, autumn, sunrise or sunset. Price is for one person. Two may share one niche for an additional $1370.00, which includes a second urn and opening and closing.